The trading and clearing platform LedgerX announced on February 05 on its blog post that it has released a new kind of derivative contract that is unique to BTC (Bitcoin). This new product is called LXHC (LedgerX Halving Contract) and it represents a binary option (when the payoff is either a fixed amount or nothing) which settles to the next time (estimated) when Bitcoin halves. Bitcoin halving is the term used for an event that takes place ever four years or so. This is when the number of BTC created as well as earned by BTC miners is cut by half. The last time this event took place was in 2016, when the reward for mining BTC was halved from 25 BTC to 12.5 BTC. Read the details of the this story here. Two OTC (Over-the-Counter) trading desks said that their accounts with the cryptocurrency exchange Gemini were suddenly closed with no explanation after they tried to redeem the new stablecoin introduced by Gemini in September last year. The accusations were levelled against Gemini under condition of anonymity for fear of damage to their reputations, and they hint at a newly emerging practice in the Stablecoin market which is now estimated to be worth about $3 billion. When contacted for information, Gemini refused to comment. The Philippines has introduced new laws for DATOs (Digital Asset Token Offerings). These new regulations have been released by the CEZA (Cagayan Economic Zone Authority) and have been designed to protect investors as well as regulate the cryptocurrency industry in the country. These new rules will impact things like the acquisition of cryptocurrencies, including security as well as utility tokens. CEZA will be the main regulator and the ABACA (Asian Blockchain and Crypto Association) will be the SRO (Self-Regulatory Organization) that will enforce these new rules. 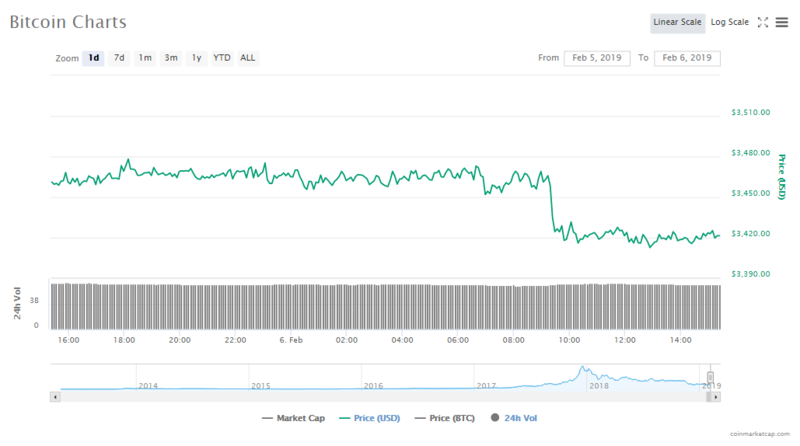 The crypto market’s value has slipped by almost $2 billion in the last one day, and currently stands at $111.59 billion. Trade volumes are now at $16.42 billion. Down for another day, this time by 1.18%, the price of Bitcoin is currently at $3420.27 and its market value is $59.92 billion. Trade volumes are currently $5.23 billion. Since yesterday, Ether’s price has dropped by 3.21% and is now at $103.95. The capitalization of the altcoin in the cryptocurrency market is $10.88 billion and trade volumes are $2.50 billion. Tether has jumped two places, overtaking Bitcoin Cash and Litecoin to take 5th place on the top ten cryptocurrency list. The stablecoin gained 0.15%. There is also a new entrant on this list, coming in at 10th place to oust Bitcoin SV. Binance Coin has jumped 17.66% in the last 24 hours to join the top listers. All the other cryptos on the top list are trading down at this time. Bitcoin’s price is $3420.27, falling by 1.18%. The capitalization of the Bitcoin token’s currently $59.92 billion. Ripple’s price is $0.292369, falling by 2.11%. The capitalization of the Ripple token’s currently $12.03 billion. Ethereum’s price is $103.95, falling by 3.21%. The capitalization of the Ethereum token’s currently $10.88 billion. EOS’s price is $2.33, falling by 2.75%. The capitalization of the EOS token’s currently $2.10 billion. Tether’s price is $1.00, rising by 0.15%. 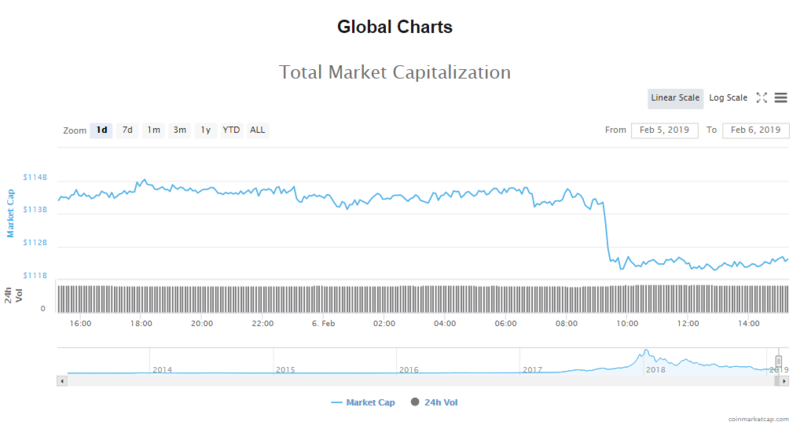 The capitalization of the Tether token’s currently $2.02 billion. Bitcoin Cash’s price is $113.78, falling by 4.37%. The capitalization of the Bitcoin Cash token’s currently $2 billion. Litecoin’s price is $32.93, falling by 3.72%. The capitalization of the Litecoin token’s currently $1.98 billion. 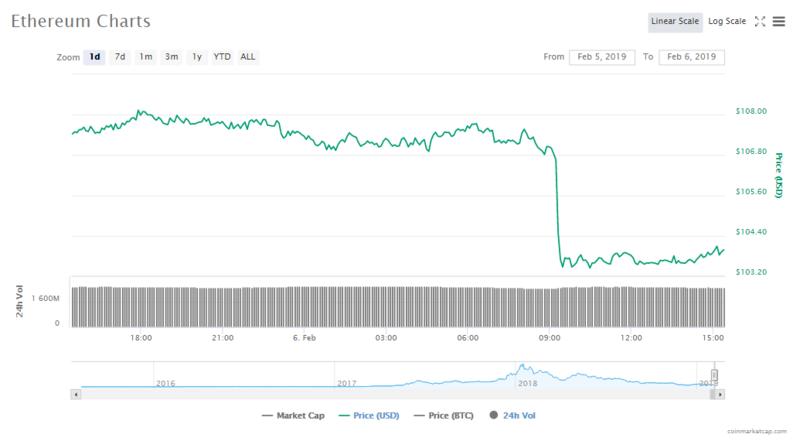 TRON’s price is $0.026372, falling by 1.71%. The capitalization of the Tron token’s currently $1.75 billion. Stellar’s price is $0.075484, falling by 3.35%. The capitalization of the Stellar token’s currently $1.44 billion. Binance Coin’s price is $8.30, jumping by 17.66%. The capitalization of the Bitcoin SV token’s currently $1.07 billion. Indonesia has instituted a new legislation according to which BTC (Bitcoin) will now be recognized as a trading commodity. Indonesia’s Bappebti (the country’s Commodity Futures Trading Regulatory Agency) had first signed a decree making cryptos a legally tradeable securities future in June last year. The American venture capital firm, Ribbit Capital is aiming to raise $420 million for its latest fund. Ribbit Capital, which includes some of the big crypto and Blockchain projects in its portfolio, is raising money for its fifth venture capital fund.